It's here at last. 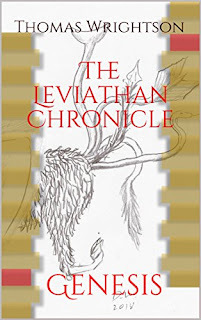 Currently available on Amazon through its Kindle and CreateSpate platforms, The Leviathan Chronicle: Genesis is a dark fantasy trip through a land of war and religious schism. Inspired by the history of the Crusades, the story follows characters from both sides of the conflict between the Seraphic Church and the people of Sur. This first part focuses on the efforts of a group of Sur natives as they are chosen for a very special task. 1111 of the 11th Cycle. War has raged between the native people of Sur and the Crusaders of the Seraphic Church for over two centuries. The conflict is bloody, with victims on both sides. But a darker force waits behind the scenes, guiding the war for their own ends. The Seraphim, worshipped by the Church. The Powers, rebel artisans of the world. Those who wield “Concord”, the blessing of the Powers, have helped keep the Church at bay. As the true enemy begins their endgame, three are chosen. Astarte, driven by vengeance. Mastema, the reluctant heir to Sur’s throne. Elathan, mourning his lost love. But there is another; Leviathan, a woman with strange gifts and a hidden agenda. What awaits at the end of this tortuous path? Powers That Be, grant safe passage. From the author of Crystal and Sin and When Ai Met Yu, witness the dark secrets of this holy war. If you like, please help support my platform by buying a copy for whatever platform your prefer. If you don't want to buy, then please share this post or the Amazon links among your network. 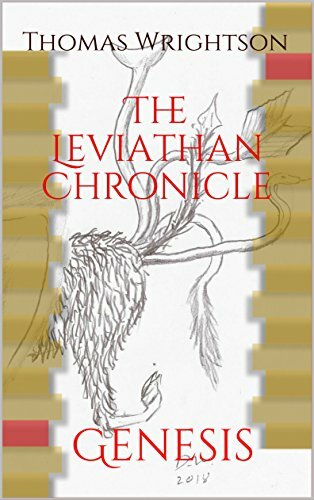 The second volume, The Leviathan Chronicle: Revelation, is going to release later this year. If you're unsure, please read the first three chapters that I've posted on this blog for any wanting to sample the book's opening drama.